Frontiers Records is excited to announce the release of TIMO TOLKKI’S AVALON stunning new Metal Opera entitled “The Land of New Hope” on May 17th in Europe and May 21st in North America. Hailed by fans and press as one of the forefathers of the Power Metal genre with his songwriting for the band STRATOVARIUS in the late 90’s and early 00’s, Timo Tolkki has been silently preparing his musical revenge. 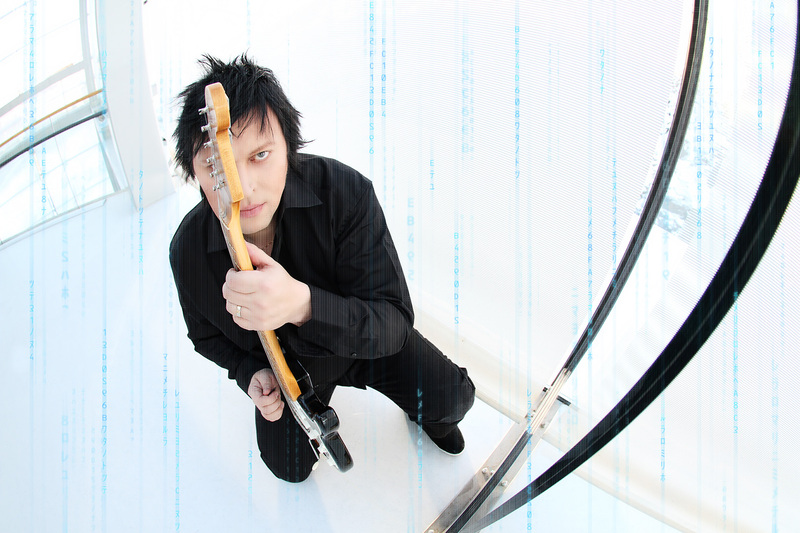 Following a call in august 2012 from Frontiers Records President Serafino Perugino, Tolkki quickly cancelled all plans and started writing new music following an original concept discussed years ago between the artist and Perugino. The idea was to have a magniloquent metal / rock opera with some cinematic orchestrations to bring back the STRATOVARIUS original sound in a more symphonic and grandiose fashion. “I sort of rediscovered myself musically in the process of making this album”, explains Tolkki. “I wrote the story first and started composing the music after that. My aim was to write memorable songs with good melodies that would support the story. In STRATOVARIUS back in early 90’s, I was one of those who were there in creating the whole Power Metal genre, so it is natural that people may associate this music style to me. But on this album you will find a lot of different dynamics as well with some songs that are fully orchestrated and sound very very big”. 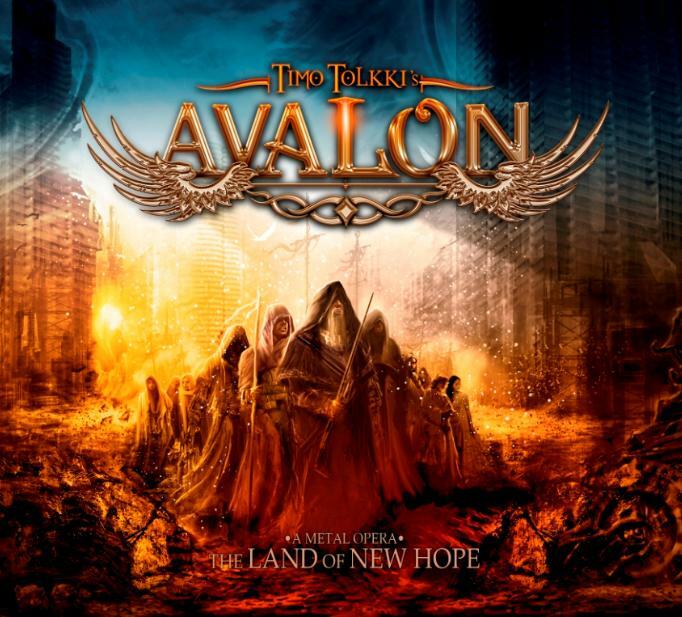 For this unique album, Tolkki managed to gather some of the most renowned singers around including Michael Kiske (UNISONIC), Elize Ryd (AMARANTHE), Rob Rock (IMPELLITTERI), Russell Allen (SYMPHONY X), Sharon Den Adel (WITHIN TEMPTATION) and Tony Kakko (SONATA ARCTICA). Rounding up the stunning line-up of this album are: Alex Holzwarth (RHAPSODY of FIRE) on drums and Jens Johansson (STRATOVARIUS), Derek Sherinian (BLACK COUNTRY COMMUNION), Mikko Härkin (SONATA ARCTICA) on keyboards, with Tolkki taking care of all guitars and bass recordings and of course production duties. Anticipated by a sequence of Youtube trailers which have already ignited the interest among the fans, “The Land of New Hope” opens a new chapter in Tolkki’s career and perspectives, with the Finnish artist regaining full artistic credibility with his own music and performances. Tolkki says: “The Land of New Hope album is one part of the story, the end of it actually. The story is longer and goes back to the time before this album’s story, so 2 more Metal Operas are likely to follow to complete a trilogy. In generally, I find the Metal Opera concept fascinating and logical to me at this point of my career. I love classical music and just like in Classical Opera, in the Metal Opera you can also create stories and have almost limitless possibilities musically. It is not so easy to stay fresh after 25 years career, but this album is truly something special”. A stunning artwork was specially created for this project by Stanis W. Decker which will be released in two versions – regular cd and deluxe edition with a bonus DVD include a 30 minutes documentary “making of the album” and two promotional videoclips. “The Land of New Hope” final tracklisting includes: Avalanche Anthem, A World Without Us, Enshrined in My Memory, In the Name of the Rose, We Will Find a Way, Shine, The Magic of the Night, To the Edge of the Earth, I’ll Sing You Home, The Land of New Hope. Very much looking forward to this!!!! You say you have best singers there. You should keep the best one which you dropped. He was planned for Credo – Michele Luppi. And one more guy is missing you, his name is Daniel Heiman. You should have kept the one who was planned for Credo and is not here – Luppi.